A major style is shown in this picture. We see a great combination for your favorite Summer old town walks. 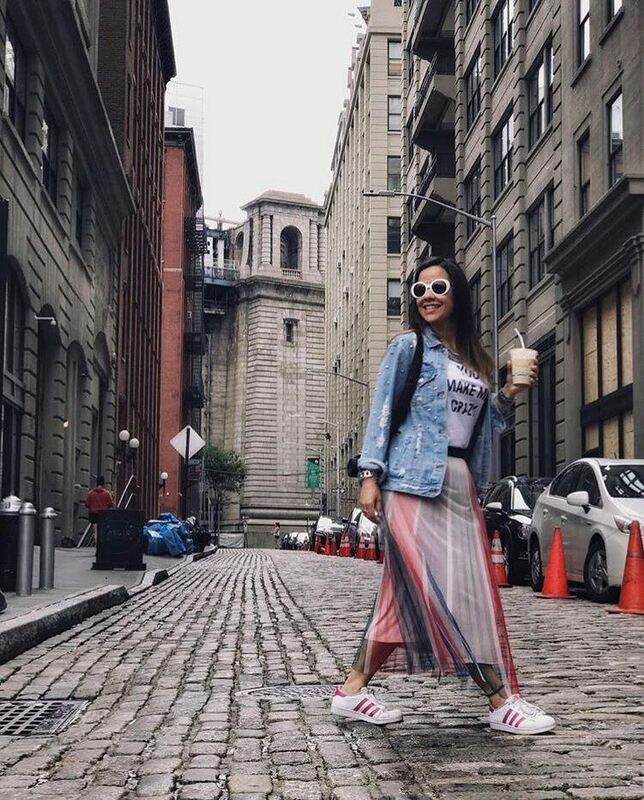 A denim jacket is teamed with a basic white tee with a slogan completed with a maxi skirt and white sneakers. Complete this look by adding white sunglasses, and a classic backpack.